Who she is: Gala Gonzalez, 23, was born in Spain and now resides in London. What She does: Gala's is the mastermind behind the blog Inside Amlul's closet. She started the blog in 2005 and since then has gained millions of followers and a name as one of the top, young, fashion bloggers in the world. 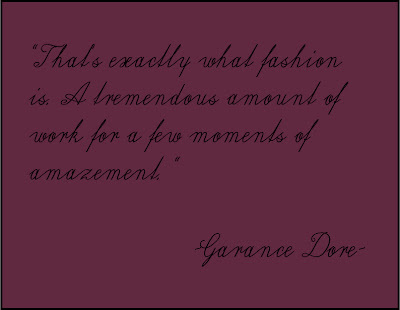 We have to say that her blog was one of the first fashion blogs that we dedicatedly subscribed to. This was mostly due to her numerous pictures of her interesting and creative outfits and her ability to inspire us with a single look. When Gala isn't blogging she works as a stylist, a creative consultant and most recently a fashion designer. Gala just came out with her first collabrative line The Music Collection. As creative director of this line, she aims to portray the complicated link that fashion and music have to one another. She describes this as one of the biggest and most exciting challenges she has faced. Why we love her: This girl won our hearts as one of the first fashion ladies to take pictures of their outfits every day and post them online. This is such a trend now, it is hard to remember a time when no one really did this. Gala helped start this movement and ended up accidentally inspiring many young girls and their outfit choices. We love Gala's creativity and are constantly impressed with everything that she does. We look forward to her updates and her newest ventures. We find this girl to be one of the most interesting twenty-three year olds around. On her style: Gala is best known for her impeccable ability to mix high and low pieces. She constantly has the best vintage pieces, mixed with high end designers. Pieces from Zara are a constant in her wardrobe mixed with Mulberry bags and shoes by Burberry Possum. She rocks YSL shoes, jackets from top shop and tees of her own creations. In our minds she has won first place in mixing the high and low. Her style is a mix of London edge and fashionable elegance. Photos from Kate Moss's newest collection for Topshop. Will be in stores December 09. Amazing eastern influence in this collection. When Gilt and Hautelook started doing business we nearly jumped for joy. 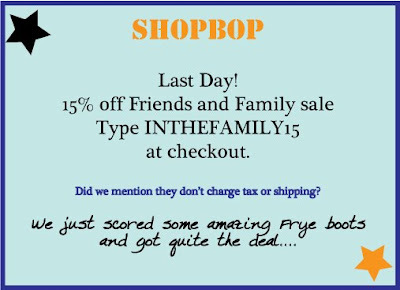 No more digging through boxes at sample sales, no more standing in line, pushing, and shoving for the best merchandise and no more scrounging around for the best deal. Then Rue La La popped up along with Editor's Closet and Top Button. The list goes on and on. Obviously we have favorites and we do appreciate the sites' main goal (to get us designer merchandise at a lower price, sound familiar?). We are just wondering when the market will be fully saturated, or what will happen when the economy gets better and designers don't have as much overstock. Well get ready for another sample sale site, although this one has more promise than most. Daily Candy is launching a new site, Swirl. The soft launch will be the week of November 16th and luckily the editors of Daily Candy will be picking the merchandise. We may be sick of all of all of these websites, but we know we will for sure be checking this one out. Refinery 29 did a piece on backpacks as a fashion statement. 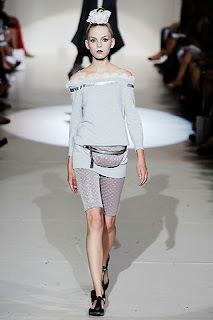 Marc Jacobs debuted a few fanny packs in his Spring 2010 collection, and many designers have added stylish backpacks to their list of products for the fall and spring. Just check Opening Ceremony for a slew of stylish backpacks. Anyways, the debate goes on as to which of these two accesories of the past are making the real comeback. We have spent a portion of the day reminiscing about our amazing Kate Spade mini backpack (our first "designer" purse purchase as a teen) and thinking about how handy fanny packs are for numerous different costume options (college cemented our love of fanny packs). What are your thoughts? fanny packs or backpacks? or neither at all? We know, we know, we are addicted to models. We just can't help it. They always have the perfect outfit on, the most amazing effortless style, the coolest friends, nightly plans, stories from abroad, etc. We could continue the list of why models are so cool for a very long time. Anyways, thanks to altamira we were just informed of this cool piece on Modelinia about model's and their Paris street style. We have already seen most of these pictures, but Modelinia takes it a step further by telling you exactly how to get the look that they are wearing. We are obsessed, seriously. One more reason our love for Modelinia grows every day. Check out the story here. The weather has finally gotten a bit colder (or at least in LA we are pretending it has), so we have broken out the boots and sweaters and actually started ordering our usual starbucks coffee hot. As we have started to look ahead at our fall wardrobe we quickly realized that our plain colored tights were getting a bit boring. 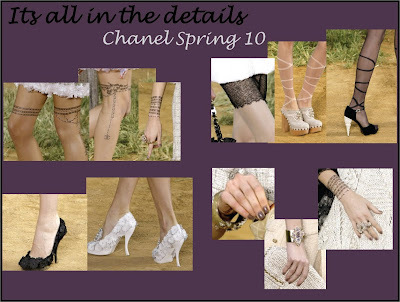 We love pairing tights with boots and a short skirts, but we are pretty tired of plain colors. So the other day, we went on a serious tights shopping spree. Polka dot tights from Club Monoco, ribbed tights by Wolford, Thigh highs from american apparel, a sheer lace pair by Spanx. You name it, we tried it on. We left this spree with four new pairs, that we hope will add a whole new dimension to our fall wardrobe. We have to admitt that we usually dismiss the cast members of The City and The Hills as wanna be actresses rather than up-and-coming fashion designers/tastemakers/stylish human beings. We wish that we could praise these girls for some kind of contribution to the fashion industry, but we typically think that the shows give the fashion industry a bad name, while also painting an unrealistic picture of working in fashion. However, today we are biting our tongues. Olivia Palermo has proven to be a bit of a tough girl throughout this season of The City, but let's be honest, we really don't care about the plot. She continues to assert herself as someone who won't be pushed around, and she does so in some of the best put together outfits we have ever seen. It looks like Scott Schuman thinks so too. Today we saw that Olivia was posted for the 3rd time on The Sartorialist. She was posted for the first time on the blog about 5 seasons back, followed by the two pictures above. The one on the left is from the fall shows in February 2009 and the right one was posted on Saturday and was taken during the London shows. We have to hand it to her, she has impeccable style. We take back our dismissive attitude about her, and we will now start following her clothing choices more carefully. We have been looking back at all the shows over the last 6 weeks and have been trying to piece together which models showed the most, where they showed, in what cities etc and who we think will be in the next group of it girls. Thankfully for us, Models.com, Altimara and The Fashion Spot have compiled lists of the models that have walked in the most shows. Coming in at #1 is Constance Jablonski (middle picture) of ELITE Milan. She showed in 72 shows, opened 8 and closed 3. #4 Frida Gustavsson, (pictured to the right) of IMG Paris did 60 shows, opened 4, closed two and is the new face of sensation of the season. We love these three fresh faces for a few reasons. Constance has an amazing face, with strong cheekbones and piercing eyes. She also has impeccable style on and off the runway. Frida's look is younger and more innocent than the others, however she has recently started to embrace the rocker chic trend and show her versatility as a model through different types of shows and shoots. Kasia is most likely the biggest IT girl of the season. Her features are strong, but her look is still soft. She has an amazing face and strong features and she was just recently chosen as the new face of Balenciaga. Expect to see alot more from her in the next few months. Check out this oldschool video of Kate Moss, Christy Turlington and Naomi Campbell posing for a Perelli calendar shoot. This was a nice find on Fashionista on this rainy Wednesday morning. Sasha was quite popular this show season. It seems designers, editors and girls everywhere just can't get enough of her (us included!) Not only has she been the face of Prada for the last six seasons but she walked in the Spring 2010 shows for Valentino, Chloe, Stella Mccartney, Chanel, Celine, Louis Vuitton, John Galliano and Hermes (to name a few). Check out her Modelinia profile here and see her show pictures on style.com here. pictures: top left Tommy Ton, others tfs. Would you rock sequined lingerie? We love the trend of showing off exquisite bras underneath tanks with low armholes, see through tops and even sometimes underneath the perfect boyfriend blazer. We have filled our closets with lacy bras of many colors just to indulge ourselves in the trend of having these once private items shown to the public. We found this picture from New York Fashion week on Jak and Jil's blog. We had never thought of wearing a bra adorned with sequins or jewels. We must admitt, this is a pretty amazing look. Would you ever wear undergarments like this? And if you already do wear them, are they comfortable at all? Often times some of our best fashion inspiration comes from outfits worn by everyday people doing everyday things. We nearly die of happiness when we see a perfectly put together outfit, outside of a store or off the runway. 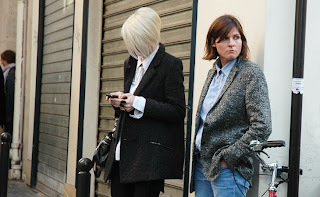 We think it is an amazing talent to be able to create a great look and take it out to the streets, hence why some of our favorite blogs include The Sartorialist and Garance Dore (who both capture the art of every day people dressed impeccably on the street). Thanks Rumi for the inspiration.